Check out John Boulding, one of our amazing Travel DAZE speakers! Travel DAZE is fast approaching, and we’re getting pretty damn excited over here. That’s right, the event is less than two weeks away! It shouldn’t be a surprise that tickets are selling fast (grab them right here), especially given the calibre of speakers we’ve got lined up. That long list of legends includes industry power house John Boulding, CMO of Italian tourism company Vox S.p.A and formally global CEO of Insight Vacations. He has over 40 years experience in the travel industry, and is an expert in innovation, branding and change management. And you can listen to him speak at Travel DAZE! But just in case you couldn’t wait, we asked him a few quick questions about why he’s excited for the event. 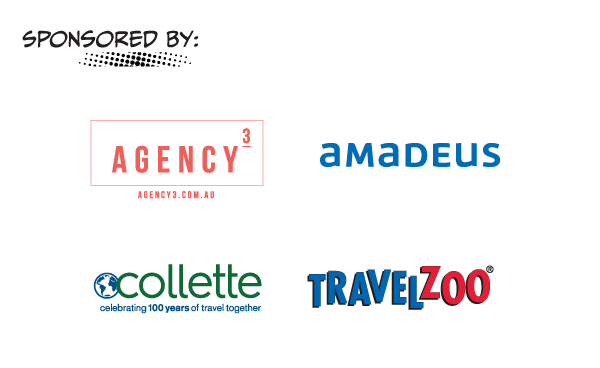 Oh, and for a for a cheeky discount on those aforementioned tickets, contact Daisy Melwani: daisy@travelweekly.com.au. What are you most looking forward to at Travel DAZE 2018? Meeting up with like-minded people who share a desire to move the industry forward by tackling challenges head-on. The event’s theme is Kick Arse. How are you kicking arse in your current role at Vox Tours? I’m taking a traditional ‘reactive’ travel industry supplier and working with the team to turn internal thinking on its head to become a truly ‘proactive’ and ‘cutting-edge’ B2B tour operation. What’s been the most rewarding travel experience you’ve ever had and why? I started in the industry as a Contiki Tour Director – it taught me leadership and changed my outlook and interests, setting me on the road for a life in travel! What message do you hope you can impart to the attendees of Travel DAZE? The changes in consumer aspirations are real and now and plenty of new players are moving to take the business. Adapt and adopt. You can be the destinational hero if you embrace new technology. Who’s been your greatest inspiration in the travel industry and why? I think many of us are most influenced by those who play a big part in our early careers – so in that sense it was undoubtedly the great Chris Newman. He taught me much about travel management and marketing, with a masterclass in team building, understanding your customer, and effective storytelling. Travel DAZE 2018 will be held on Monday, September 3 2018, at Belvoir St Theatre. Grab your tickets right here, and for all the other deets, head to the website. Another day, another Travel DAZE story – this time on the infamous Barry Mayo! If you need us, we’ll be at lunch: all this talk of mayo is making us hungry. Check out all the photos from Travel DAZE 2018! Guess what we’ve got for you today? A picture book! Well, technically it’s mostly just photos of Travel DAZE, which we think is better if anything. ICYMI, Travel DAZE 2018 was held yesterday! In between consuming as much free coffee as possible, we managed to sit in on a few speaker sessions.